yes yes yes i enjoyed it. 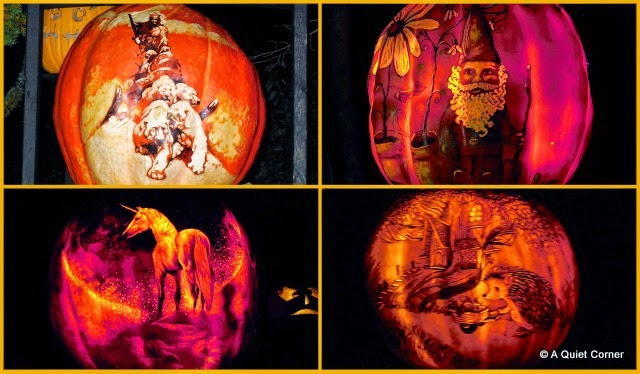 these are amazing.. are they projections of light on the pumpkins? never seen anything like it..
Wow, those are amazing. I especially like the lion. Amazing....I really like the hen house carvings. Wow! 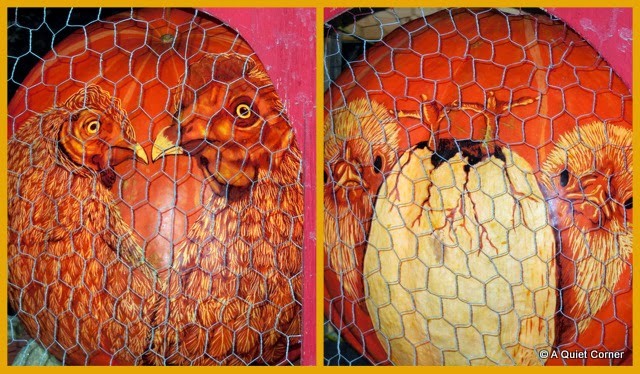 Amazing carvings and etchings on the pumpkins. 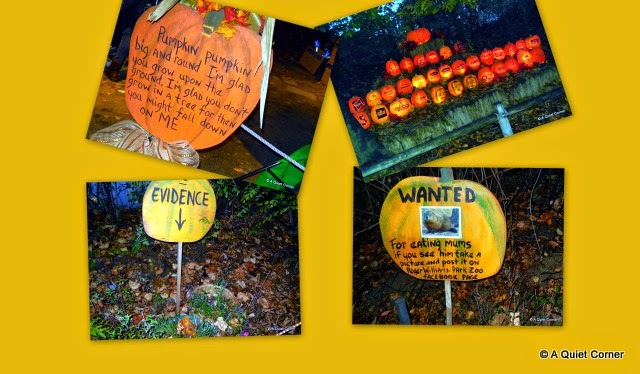 Wow, those are some amazing pumpkins. Kind of a shame that all those works of art won't last forever. 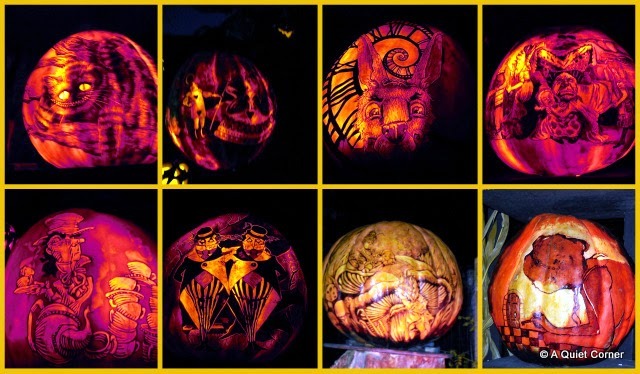 I love these works of art created on a squash!! 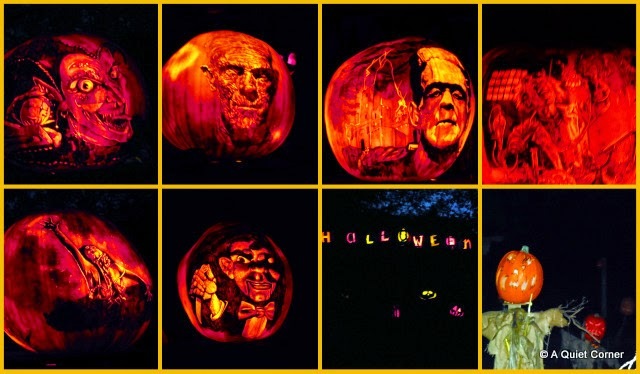 Oh wow, the pumpkins are awesome.. Amazing carvings.. 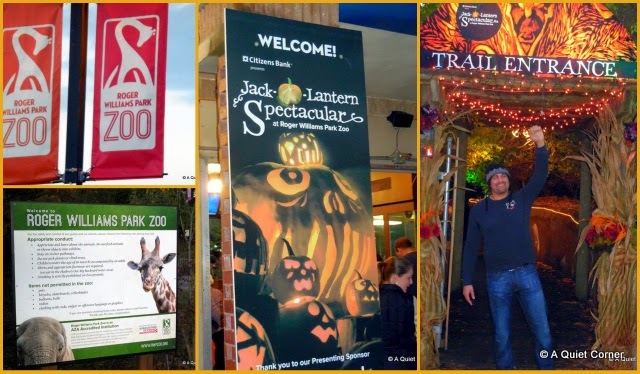 Thanks for sharing your visit.. Enjoy your week! Awesome. I am reverting back to my love of the good 'ol orange pumpkin! 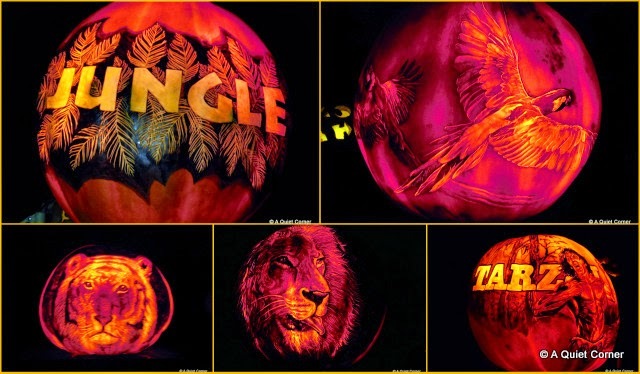 Oh my, now this display takes pumpkin carving to a whole new level. I would imagine that they were pretty spectacular in person. 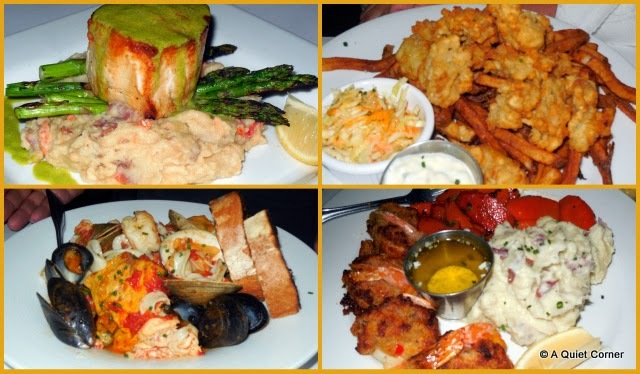 I did enjoy it! What an artsy pumpkin display. They've sure come a long way since I was a kid with the triangle eyes and noes and the big smiley face mouth! Wow, these are amazing! I've never seen anything like these before. I'm a true Norman Rockwell fan. I loved the Norman Rockwell pumpkin. Amazing!